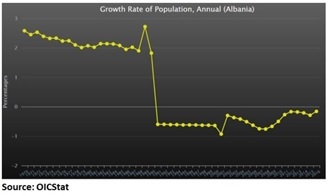 In accordance with its 2017 Annual Work Plan and within the framework of Statistical Capacity Building (StatCaB) Programme, SESRIC organised the Training Course on ‘Geographic Information Systems (GIS)’ at the Institute of Statistics (INSTAT) of Republic of Albania on 19-21 December 2017. The Training Course was conducted by Ms. Mennatallah Anwar Ahmed Mohamed HASHIM, Geospatial Database Administrator and Developer at Central Agency for Public Mobilization and Statistics (CAPMAS) of Egypt, with the participation of 4 senior specialists of the INSTAT of Albania. As defined in the Classification of Statistical Activities (CSA Rev. 1 - October 2009; http://goo.gl/olg3Tz); ‘Geographic Information Systems (GIS)’ is classified under “Data sources” dealing with different methods of data collection from respondents and different forms of data sources at national level. It includes activities on electronic data reporting and internet reporting which are not directly related to specific censuses or surveys.